For those new to Rugby Union – Rugby is a team sport suitable for all shapes and sizes. It is an international sport and the Australian governing body is the Australian Rugby Union (ARU). The National men’s team is the Wallabies and the women’s team is the Wallaroos. The Melbourne Rugby Union Football Club, home of the mighty Unicorns, offers a well-run family oriented Junior programme. Based on the ARU model – Coaching Kids Rugby – a modified game that aims to develop life-long rugby fans and long-term rugby players. We look forward to watching our current U6 boys and girls play for the Wallabies and Wallaroos one day. On joining our club your child is immediately placed into a team environment where there is an emphasis on developing sports and life skills including commitment, sportsmanship, leadership, determination, self confidence, courage and teamwork. Our coaches are ARU Smart Rugby accredited and have passed the Victorian State Government’s mandatory Working with Children check. Each season we field U6 – U18 teams. Being centrally located and close to public transport our Club welcomes players from all areas of Melbourne. We have a large proportion of players from Stonnington, Melbourne, Yarra, Boroondara, Port Phillip, Glen Eira and Bayside municipalities. 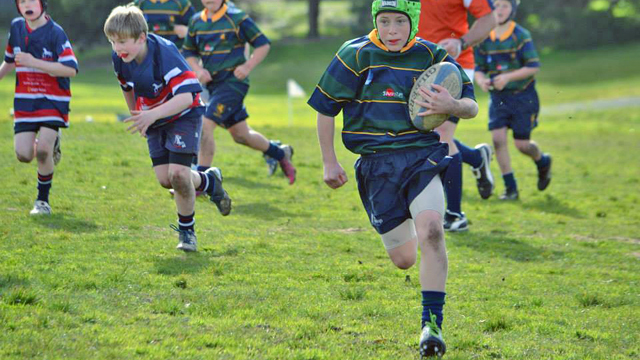 Our teams play in the Victorian Rugby Union’s Junior competition which features club sides from across Melbourne. There are a number of club memberships available including individual Junior player, Family and President’s Club. 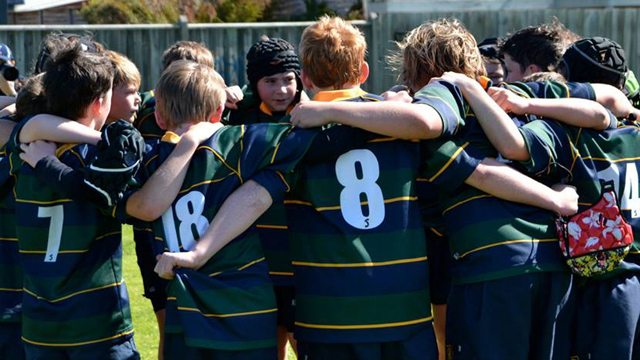 To arrange for your child to play rugby at Melbourne all you need to do is simply fill out the membership application form and turn-up to our club grounds for training. Age grading is determined as at the 1 January each year eg. if your child is nine years old on the 1 January then your child will be eligible to play in U10. On occasion children may play up a year to play with siblings, but a two year eligibility window exists in the older grades where children cannot play in teams two years above their actual age group. Some of our U6 team are only four year old and proudly wear the club jersey along with older siblings. Once the age eligibility has been determined the child will join that age group and we will monitor their suitability to that grade. If we determine that a child is not suited to the eligible grade, we may seek dispensation from Victorian Rugby for the child to play in a more suitable grade. Attributes taken into consideration include mental and physical maturity, rugby experience and overall confidence to progress with our programme. This may be particularly beneficial to first year players. Our youngest members start touch rugby and progressively contact elements of the game are introduced from U8. Both boys and girls are encouraged to play from U6’s to U12’s and adolescent boys from ages U13. Our U10 and U12 players provide ball boy duties for the senior home games on a roster system. We operate a boot pool so that last year’s boots can be donated to another junior so please bring them along. You cannot take out a pair of boots unless you donate a pair or make a small monetary donation to the Club.